“To prune or not to prune?” is the question we ask ourselves when our plants are not looking healthy or have become overgrown. This is the best time of year to prune, while your plants are in dormancy. In this issue, expert arborists explain their techniques on pruning for healthy plants. 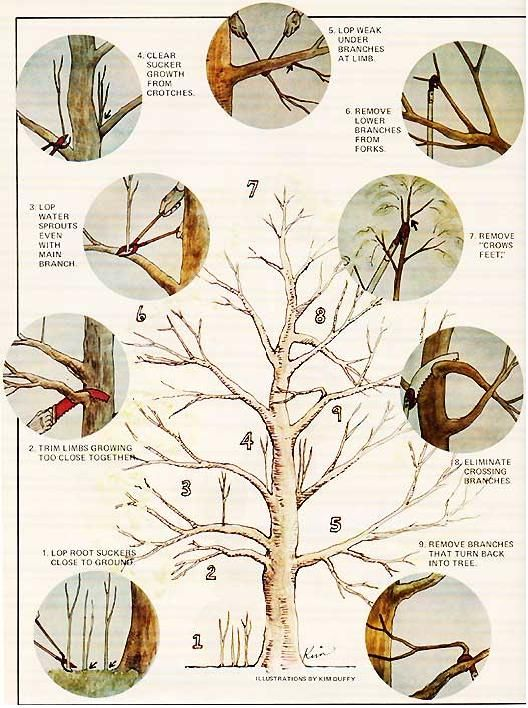 Pruning has some basic techniques that can be utilized by the novice pruner to know when and where to make those critical cuts. 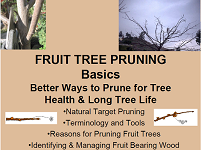 Prune by using the four D’s to determine what to cut: dead, diseased, damaged, and dysfunctional. Start with making sure that the tools you are using are sharp and clean. There are many inexpensive products that can be purchased for sharpening pruning shears and loppers. You want sharp tools to limit the crushing effect that you get when using one that is dull. Start by removing dead and diseased limbs, and unwanted growth such as suckers and watersprouts. Suckers are the growth from the root system and watersprouts are shoots that grow rapidly upward such as you will see when trees are top cut. The “when” to prune is generally answered by when a plant is in dormancy. There are exceptions to pruning during dormancy depending on the plant and the outcome that you want, but now is the time to remove dead branches and shape the plants for spring. Tom gives many examples on what tools to use and where to make your cuts. This is a good read and is only about seventy pages long. Pruning helps plant vigor and keeps the plant in a healthy and attractive state for growth of blooms and fruit. So sharpen your tools and give your plants that needed pre-spring cut and you will be rewarded with the fruit of your efforts. Pun intended. “Use sharp pruning shears for any cuts on branches smaller than 1/2 inch in diameter. Use loppers or a pruning saw for larger diameter wood. In spring and summer, remove suckers arising from the base of the tree and watersprouts arising from branches. Depending on the cuts and type of tree, pruning can stimulate lots of this type of growth, so it’s best to remove it quickly so the tree can put more energy into growing fruiting branches.